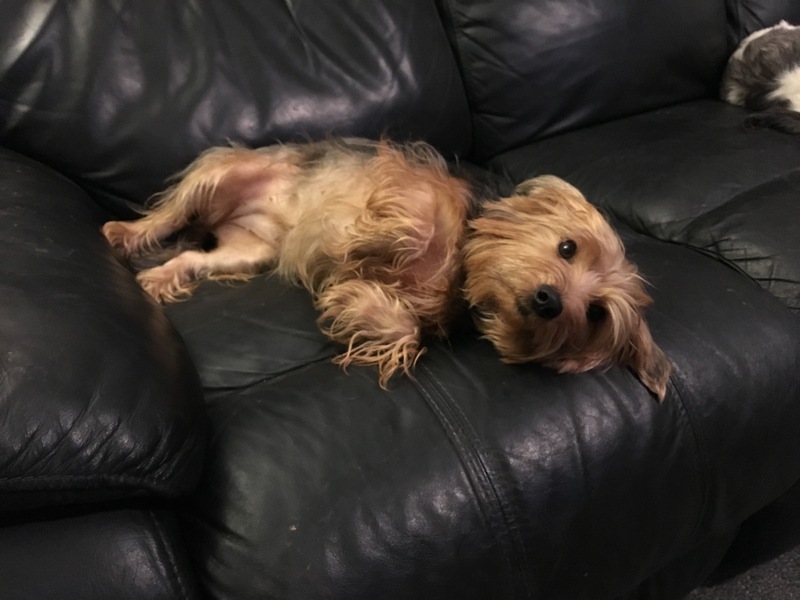 Bella is a standard sized Yorkie and typical of her breed, she is lively and playful, she loves her walks and is good onlead, she is also clean in the house, crate trained, calm and quiet overnight. She is very playful with the other dogs in her foster home, and enjoys playing with toys, but they need to be robust as she can be rather destructive with them! She absolutely loves a game of fetch or tuggy, and she certainly likes a good tummy tickle. Bella is a loyal companion, never straying far from your feet, so we are looking for an active home where she will get lots of attention and exercise, with someone around for most of the day, but without cats, small furries, or small children. Bella can be homed either as an only dog or with other calm larger dogs, as she can sometimes be fiesty with other small female terriers. Bella is 2 years old, speyed, vaccinated, microchipped, flea and worm treated, and is being fostered in Deal, Kent. Please note that Bella has a non moulting coat which requires regular grooming, so please take this into consideration before submitting an application.